More than three years after a group of Facebook users sued the social media network, claiming that it was sharing links sent in private messages with marketing companies in order to boost its ad revenue, The Zuck’s company has agreed to stop eavesdropping on those communications. 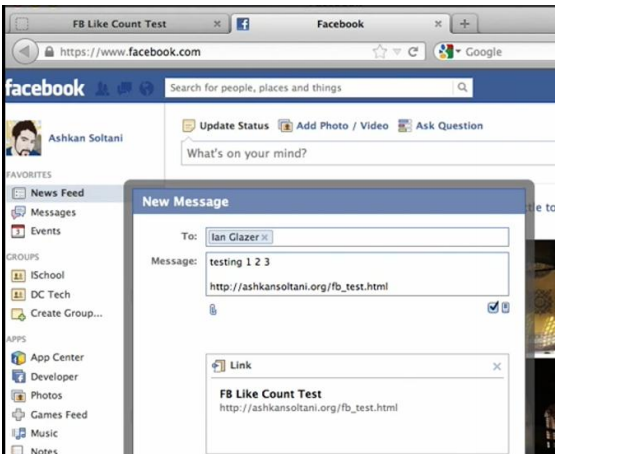 That lawsuit [PDF] contended that despite the fact that they’re called “private,” Facebook “systematically intercepted” messages; specifically, when a user sends a link in a Facebook message, Facebook would then allegedly scan the content of the Facebook message, follow the enclosed link, and search for information to profile the message-sender’s web activity. In addition, when Facebook followed those links back to the source page, if it found a “Like” button there, the company would assume that you sharing the story counts as “like” for the content. In tests of Facebook’s private messaging system, researchers claimed that sending a link to a web page may be counted as a “like” for that page, whether the sender liked it or not. The class’ counsel filed a motion [PDF] for preliminary approval of a settlement the two sides agreed to in December, putting the issue to rest after six months of negotiating. Facebook has agreed to stop using data from links sent in messages to target advertising, and will not share user data with third parties, or boost “likes” on third-party websites with that information. In addition, in Jan. 2015, while litigation was still ongoing, Facebook updated its Data Policy to disclose that it collects the “content and other information” that people provide when they “message or communicate with others,” and to further explain the ways in which Facebook may use that content.